Wrenching on cars and trucks is a fun time, and many mechanically bent motorsports enthusiasts will use their garage to modify their vehicles to go a little faster, look a little better, crawl a little nicer or just basically declare, “I made this.” Beyond the typical, there are some weird hybrids of mechanic and mad scientist that take the pastime of modifying to new and strange levels, while remaining street legal. We found three you might enjoy. That’s right. The Jet Beetle is exactly that: a sensible, unassuming new model Volkswagen Beetle with a Navy surplus General Electric T58-8F jet engine jutting out the back. It’s the brainchild of car modifier Ron Patrick, who was very careful to keep it street legal. 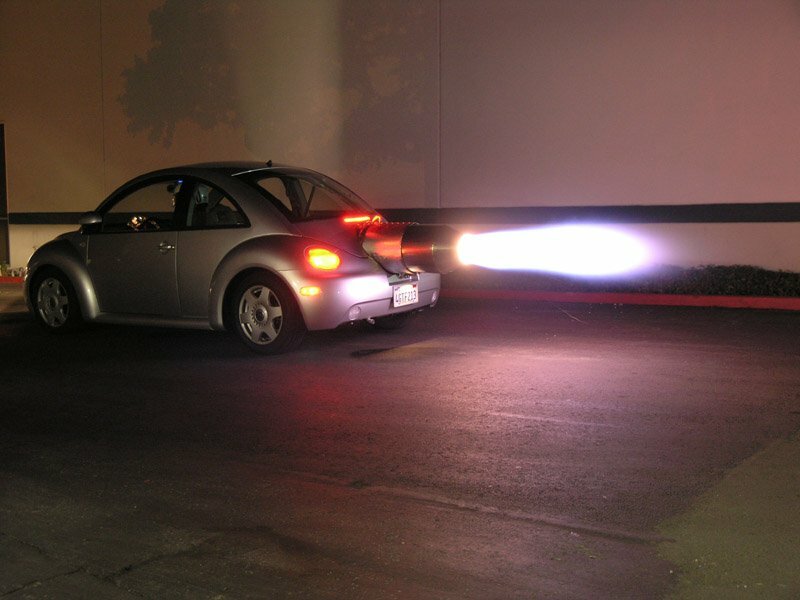 The Jet Beetle actually has two engines: a standard-issue gasoline engine in the front, and the jet engine in the back. This means the law can’t touch you when you use the ordinary gasoline engine, and when you decide to go to the jet, what officer would be able to catch up? Pay attention to the speedometer, though. Patrick is fairly certain the car will actually lift off the ground if it hits 160 mph. If you happen to have a spare $80,000 burning a hole in your pocket, you can get yourself a skycar. This flying car by Moller International is still in development stage. It’s part buggy, part paraglider and bio-fueled too. The huge parachute wing/propeller combination the car uses to fly enables you to steer it with two pulleys, much like a parachute. What’s better, thanks to this method of flight, drivers can operate it without a pilot’s license. Think of the Batmobile and the absolute coolest car you had in your Hotwheels collection when you were a kid. 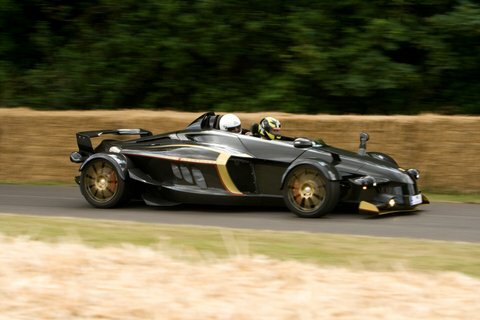 Now, get yourself $500,000 and you can drive a Tramontana. The name is borrowed from a ridiculously strong wind that blows into Spain from the north, so forceful that legend says it causes madness. This car is looks like the end result of a romantic evening between an Indy car and an F/A 18 Hornet. The Tramontana R Edition is a $495,000 supercar. Only 12 are made each year. With a 720-horsepower V12 engine on a frame that only weighs 2,990 pounds, it can accelerate from 0 to 60 mph in 3.5 seconds and has a top speed of 214 mph.